The majority of today’s bloggers, Search Engine Optimization (SEO) professionals, including webmasters and ads managers, make the mistake of creating and publishing contents without targeting or making use of specific keywords. And even when they do, they hardly check to confirm the relevance of such keywords or see how they rank in the Search Engine Result Pages (SERPs). Picking the relevant keyword is one of the most essential elements of SEO. The right keyword will make it easy for SEO professionals to rank and track the keyword position in search engines. Every SEO professional and blogger must take it as an absolute necessity to check their Google keyword ranking in order to determine and achieve target keywords while making their contents more attractive to a wide audience. It doesn’t take much time to use a keyword research tool. Within 10 to 15 minutes, keyword tools like the Google keyword search or SEMRUSH can help you to find the relevant keyword to use. You have to take the advantage offered by these tools so you can reap the benefits of quality optimized content and SERP relevance. When you make use of bulk keyword rank checker or keywords position checker tool, you will be able to check keyword position ranging from 1 to 500 right on Google and other search results pages. Bulk keyword rank checker that helps to determine the best of Google USA SERPs also enables users to track their site position for the purpose of achieving specific keywords on Google search result pages. Bulk keyword rank checker tools are designed to be used with ease. Just copy and enter the keywords you want to search alongside the domain name you are searching for. Then wait for the tool to generate the position of the domain for that keyword or group of keywords on Google or such other search engines like Bing and Yahoo. Most tools enable you to search and generate for more than one keyword at the same time. Using bulk keyword rank checker tools like SerpToday will enable you to improve your SEO, and also give you a reason to properly manage your keywords so that you can determine which keywords are stronger and best for your content and for your particular domain, and which ones are not. The ability to have such information will further enable you to work on using the strongest and viable keyword only while increasing the likelihood of ranking higher and better on Google and other SERPs. To achieve all the advantages described above, you will need the best keyword rank checker tool which will enable you to pinpoint the ranking position of a specific keyword on Google search result without having to manually go through a rigorous list of hundreds of search result pages. Here is a list of free online bulk keyword rank checker tools that you can use to check your target keyword position in Google. SerpToday provides a complete and reliable solution for keyword checking. You are only required to enter the URL of your website or the individual URL of a blog post. It will enable you to see and know which keyword your site is presently ranking for. From the result you will get, you can then click on any keyword to check for other details like keyword competition. SerpToday is reliable and professional software that support Google keyword search based on geographical location, as well as Bing. The software offers a 14-days free trial before you can decide whether to subscribe to it or not. The fact is, you will definitely find SerpToday amazing as a bulk keyword rank checker for keywords position in search engines. This is one of the few bulk keyword ranking checker tools that can replace Serp Today if ever you want to change to something else. boast of a lot of excellent features with the ability to automatically detect what keywords that your website is ranking for. It also allows you to specify ranking based on whatever country you chose. One of the best SEO tools is those from it. They offer great and workable UI, and one of such tools is Serp Today —a reliable bulk keyword rank checker that allows you to track the position of your domain choice. 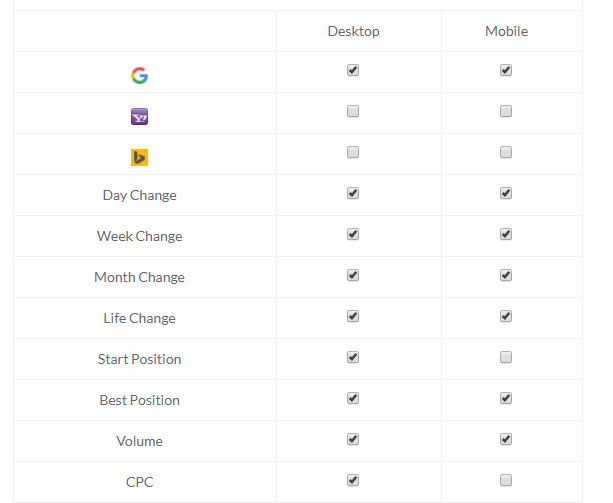 You are free to track keyword position based on device and geographical location. It offers their paid plan service that can help you to track more keywords. Price is not an issue as it is designed to suit most budgets. If you are looking for another excellent free online utility, Google rank checker is the way to go. The tool enables users to track and know keyword positioning in Google search engine. You can effectively start using this service by just putting in the keyword that you want to search, together with the name of the domain. After you have done that, the tool will be able to show you the exact position of the keyword or multiple keywords positioning in Google. It works flawlessly and is highly reliable. Out of the entire bulk keyword rank checker we have listed here, SEMrush remains our top favorite because it also offers other excellent features such as backlink checker and a full and complete site audit, plus other amazing features. If at all you have used any bulk keyword rank checker tool that you believe work well more than the listed ones above, kindly suggest it in the comment section below. Thanks. And please, do not forget to share this post.